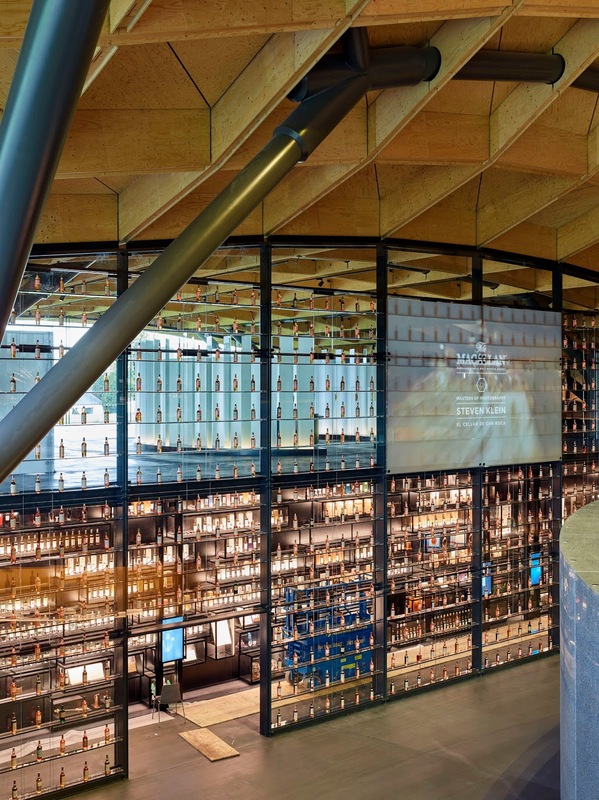 For a while now, the world of wine has had its fair share of landmark wineries - notable not only for the quality of their products, but for their spectacular architecture and "destination" status (Marqués de Riscal and The d'Arenburg Cube to name two popular examples). 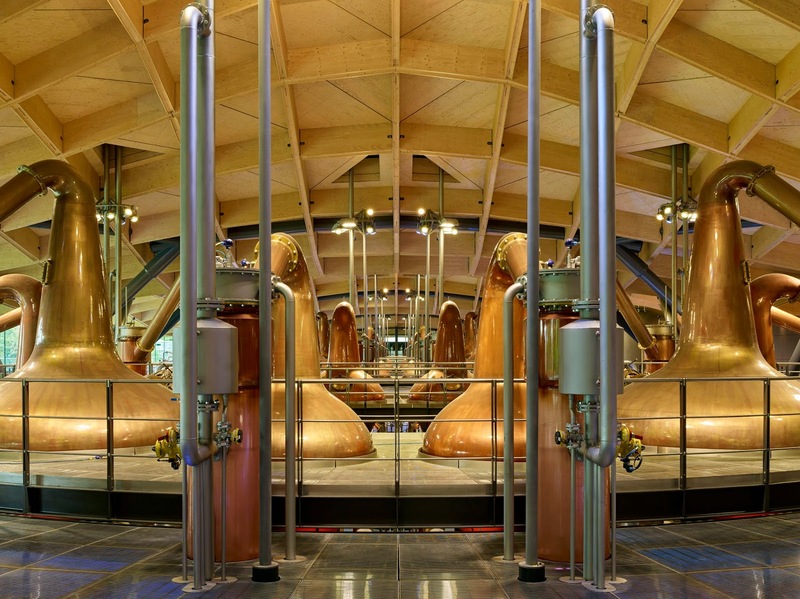 Now the world of Scotch Whisky can lay claim to its own such "destination", in the form of The Macallan's New Distillery, officially opening to the public this Saturday, 2nd June 2018. 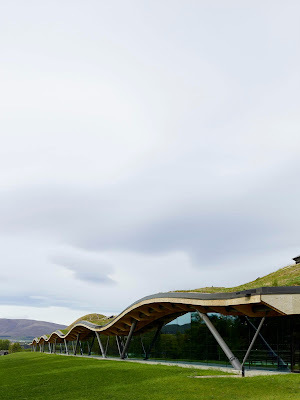 TimeforWhisky.com was incredibly fortunate to be invited to visit the new distillery last week, as a guest of Edrington at the first of three official launch parties, making us one of the first in the world to tour the new distillery. Whilst it was an incredible trip (and an even more incredible night) we'll cover the launch celebrations and distillery tour in a separate post. Suffice to say, with dinner by the current 3rd best restaurant in the world (El Celler de Can Roca, with the three Roca Brothers in attendance), tastings of a never-to-be-released 55yo The Macallan, a midnight tour of the distillery, and regular servings of both M and No.6, it was a night we won't soon forget). 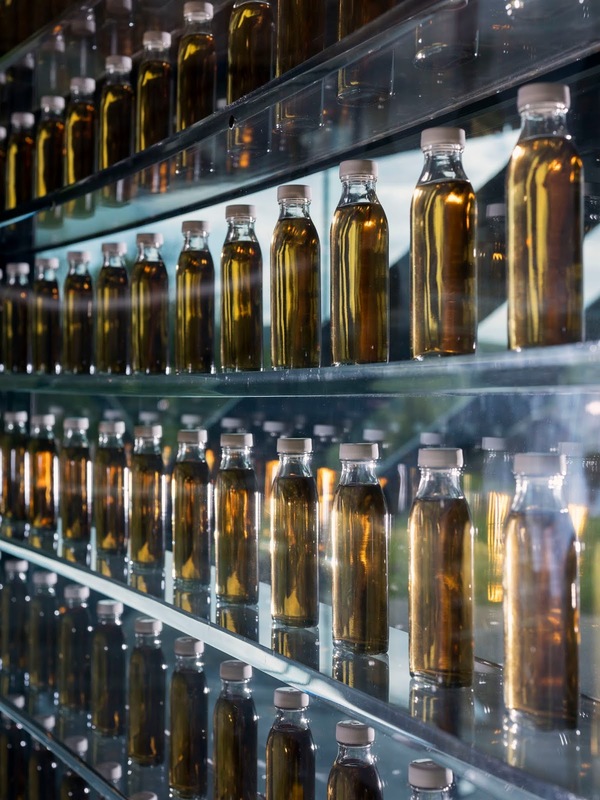 At a cost of £140m and taking three and a half years to construct, the facility clearly showcases Edrington's dedication to both the Scotch Whisky category, and The Macallan, for decades to come. Sitting just to the left of Easter Elchies House (the original homestead of The Macallan, built in 1700), 400m from the old distillery, the site is comprised of a series of grass-covered mounds, blending seamlessly into the landscape (a pretty incredible feat when you consider the size and scale of what is, at the end of the day, a large production facility). 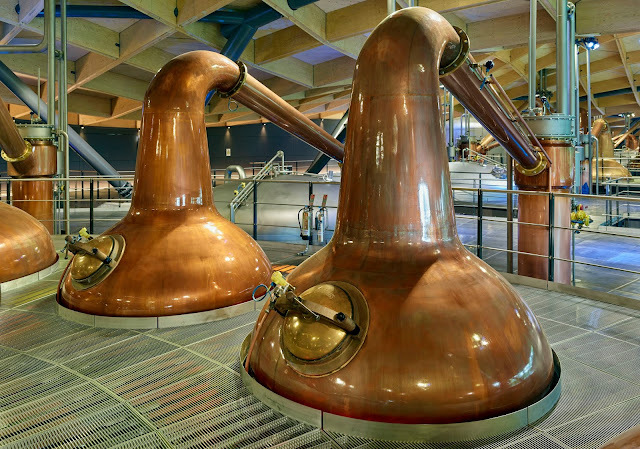 The distillery is built around 3 main "pods", each consisting of 12 stills (8 spirit, 4 wash) produced by long-term partner Forsyths (fun fact: there's room to expand and add another pod in the future, if required). Personally I found the stills particularly interesting. 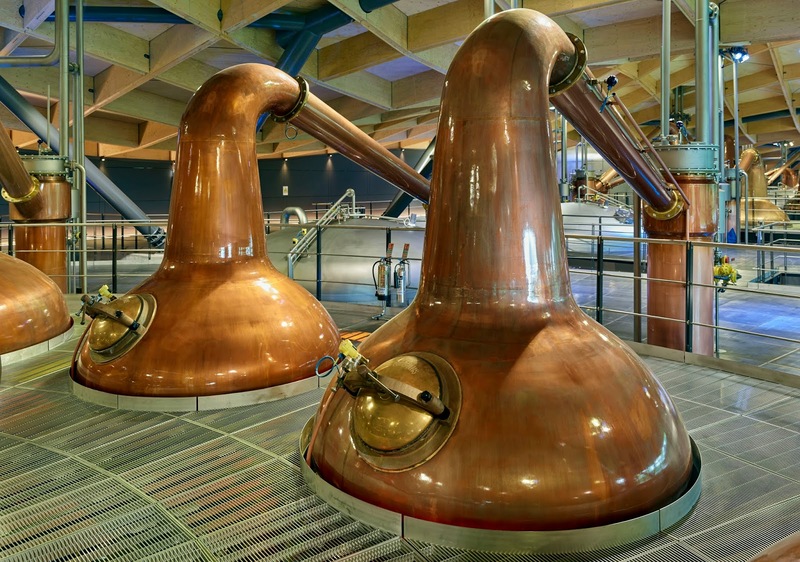 As most whisky lovers would know, the size, shape and "character" of a distillery's stills has a lot to do with the nature of its new make spirit, and often when a still is repaired or replaced, there's a conscious effort to keep it identical to the previous one (I'm sure many of us have heard of the stories of new stills having the dents and dings of the old one painstakingly added by hand, just to retain the character of the spirit). With a brand new facility, and 36 new stills, could they really retain the same Macallan spirit character? Yes, as it turns out. The stills were a "death mask" (exact duplicate) of the previous stills, made by the same producers (Forsyths) who have been making stills for The Macallan since the 1950s, and the new make spirit is said to be exactly the same as that from the previous distillery (The Macallan have been running distillation runs in the new facility since December 2017, and production at the old facility has now officially ceased). Of course, the brand's meticulous wood / cask programme hasn't changed, so we should expect the exact same whisky to result from this new distillery. Forsyths, based in nearby Rothes, were just one of the examples of how this project (despite it immensity) seemed to keep a strong link to the local community. We drove past their factory on our way to the launch! 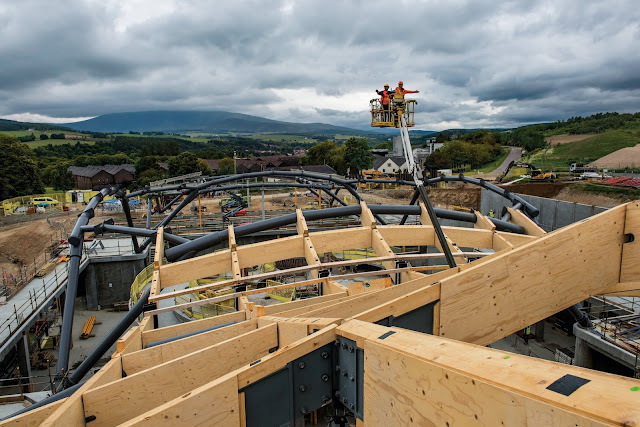 The new Visitor Centre sits just to the left of the production side of things (with large glass windows in between of course, allowing fantastic views of the whole production floor). 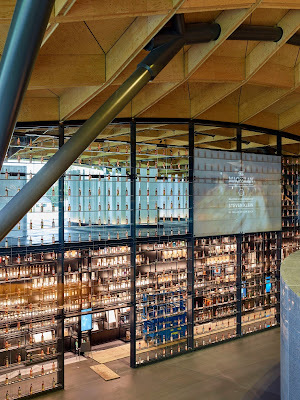 We'll cover it in more detail in the subsequent posts (including plenty of photos), but as you might expect it includes everything befitting a £140m facility, including impressive educational facilities, an archive that needs to be seen to be believed (photos didn't do it justice - videos were necessary), and a tasting bar comprising over 952 different expressions of The Macallan, including the limited run of 2,500 "Genesis" bottlings, and the Genesis Decanter in Lalique, a 72yo making it the oldest Macallan ever released. 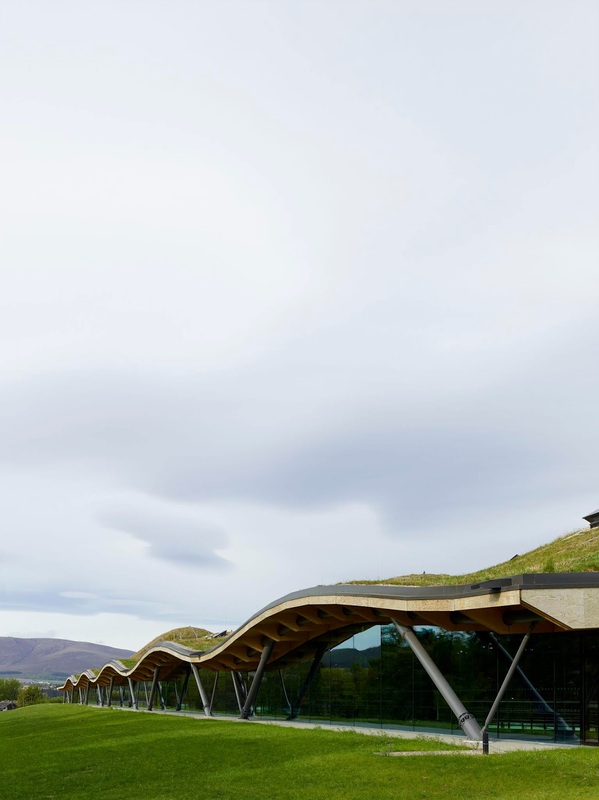 The new distillery and visitor centre officially open to the public on 2nd May 2018 (this Saturday), and will no doubt be a beacon for whisky lovers, architecture aficionados and anyone seeking to educate themselves about (or simply drink) one of the most prolific single malt Scotch whiskies. 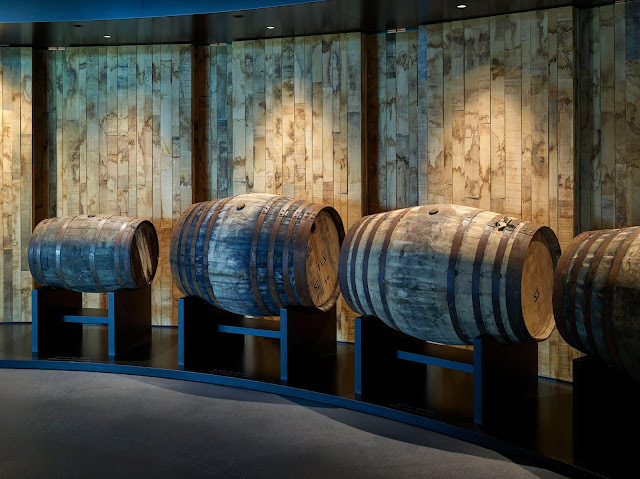 TimeforWhisky.com flew to Scotland and attended The Macallan new distillery and visitor centre launch celebrations (and Highland Park) courtest of Edrington Hong Kong.